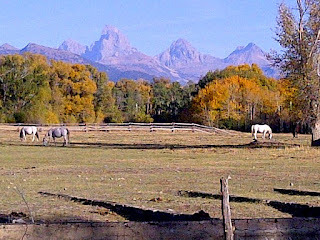 It has been a stellar Fall here in Teton Valley, Idaho. And this on the heels of a nice, long, warm spring & summer. I talked with a longtime local horseman last week, and he said it has been the longest trail riding season of his life here...which is 60-plus years. Impressive. We'll need good snowfall this winter to replenish all area reservoirs after such a dry summer season, but that's off to a fairly good start already. 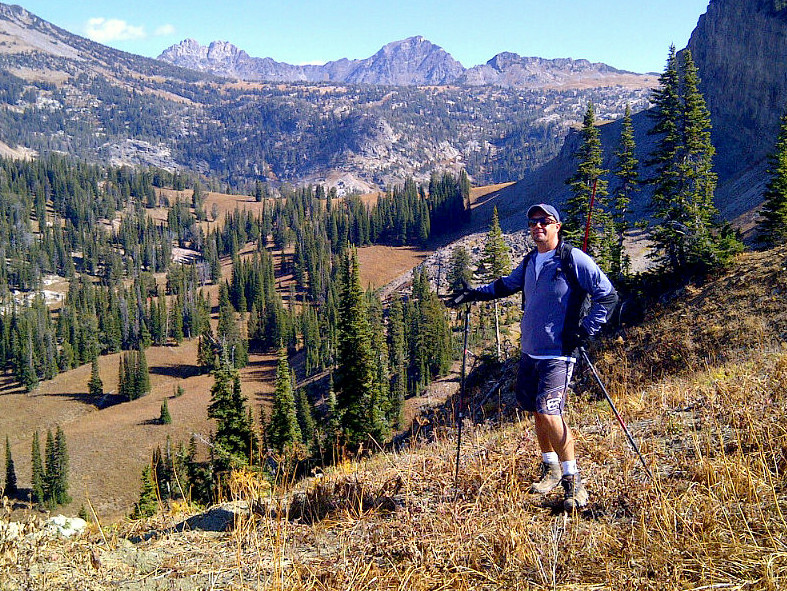 Grand Targhee got its first dusting of white stuff a couple of weeks ago, and it's only just begun. Onto some October highlights. My longtime buddy Tom visited early in the month, and we hiked up to Green Lakes (Mt. Moran is in the distance). 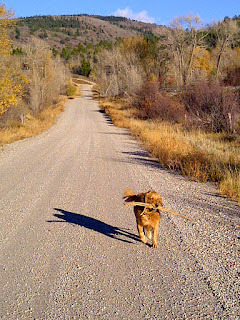 It was an impossibly beautiful Fall day, and we had the trail to ourselves. Solitude still exists around here. I biked to the top of Garn's Mountain for the second time this year. 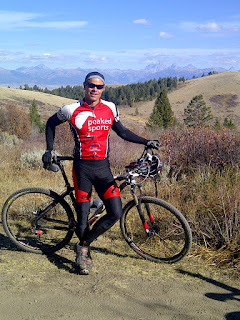 At just over 9,000 feet, it's the highest point in the Big Hole Mountains, to the west of Driggs. 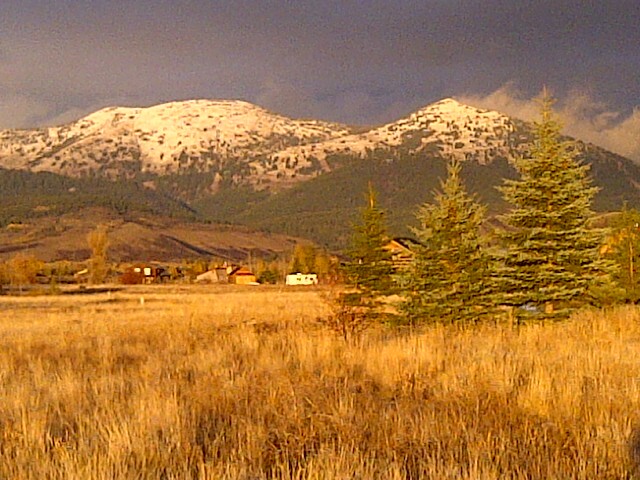 It's usually under snow by October, but was still beautiful & dry for my ride. 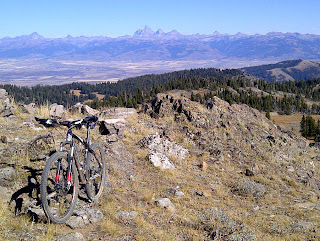 I was the only person out there that day, which was almost as amazing as the Teton views. 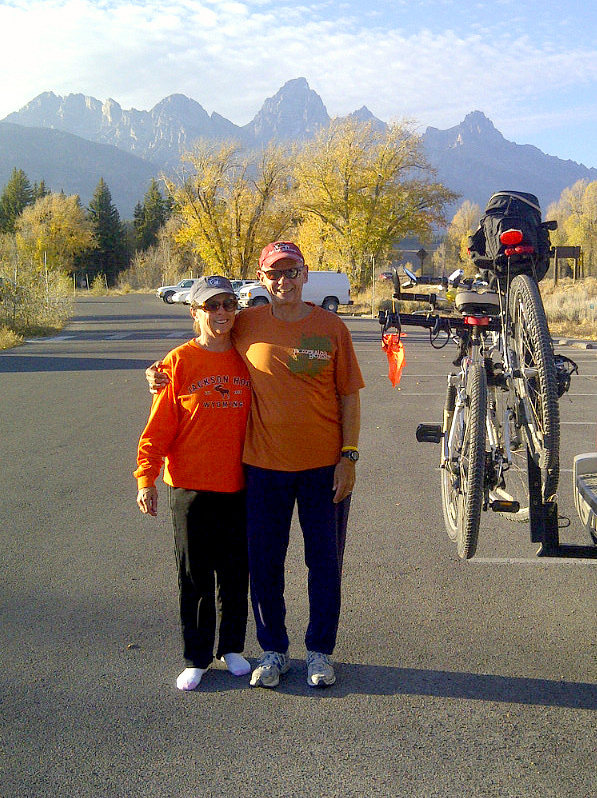 A mid-month evening with Mom & Dad in Teton Park was awesome. They went for a bike ride on the new paved path to Jenny Lake first, and we then watched and listened to dozens of elk bugling in the shadow of the Tetons. It's the kind of stuff that sends primordial chills up your spine. I'm getting occasional time with Bridger, and always enjoy it. 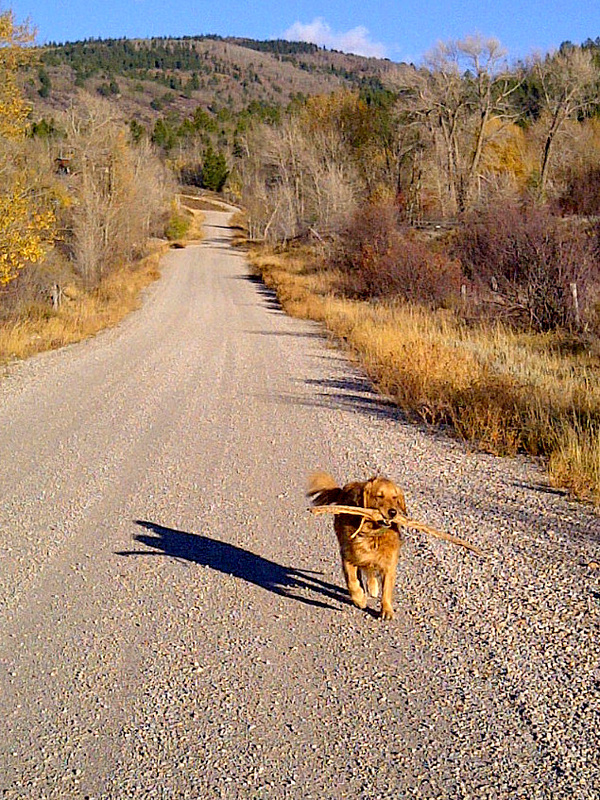 Here he is on a favorite nearby dirt road, walking loudly and carrying a big stick on a perfect Fall evening. He's 5 years old now, and has matured into a really good dog. 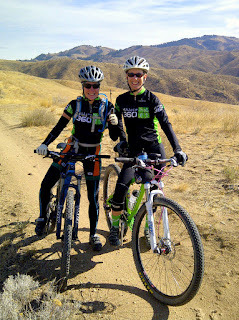 There was also a quick weekend trip to Boise, where Melissa & Michelle enjoyed sublime foothill singletrack and smiles. I like Boise more every time I go. I've done a couple of CycloCross races this month, as well. 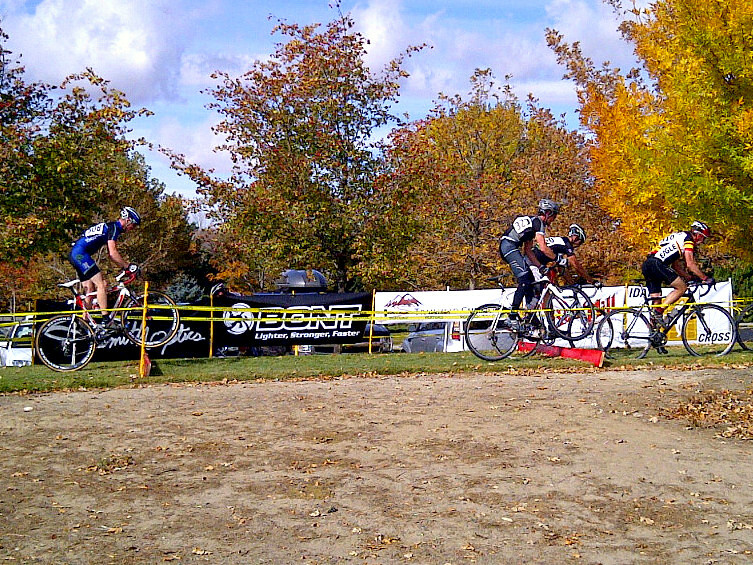 45-minutes of redline effort on what is essentially an extended BMX track - jumping barriers, carrying your bike up hills, and riding 'til your lungs scream while bumping elbows & wheels with fellow competitors. 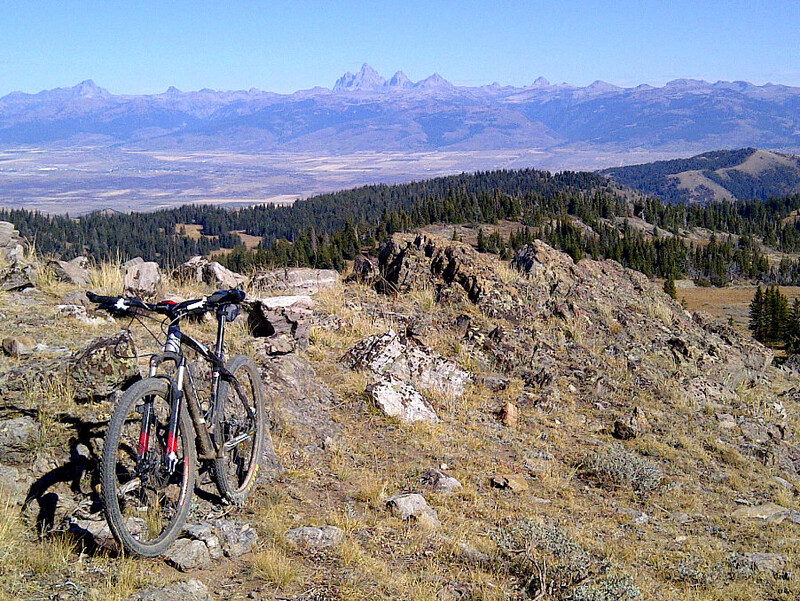 Somehow, it's the most fun you'll ever have on a bike. 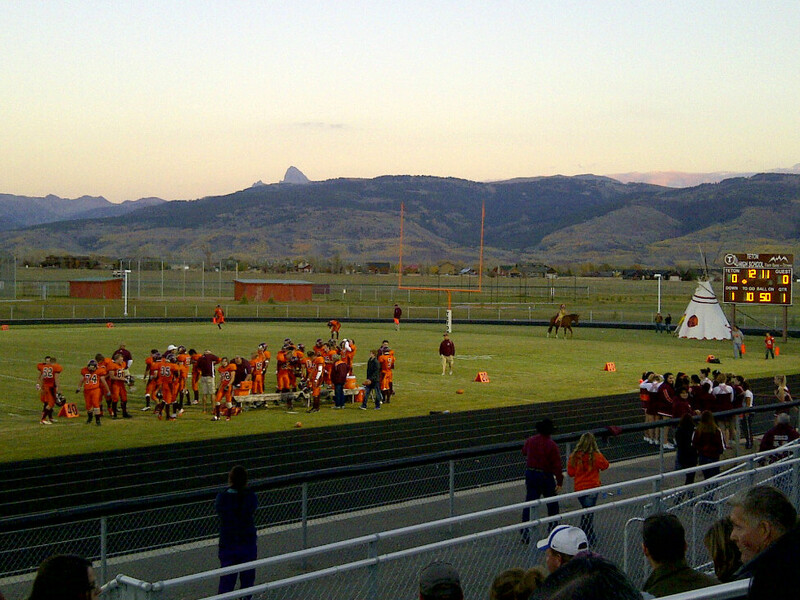 Another October highlight was a Friday evening of Teton High School football. I wish I had attended more games over the years, but better late than never. We were undefeated entering this final home game, and that ended against a really strong team from Shelly. 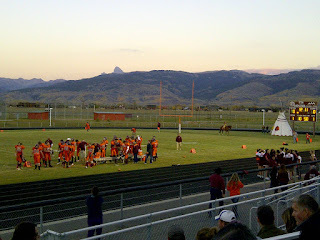 Even so, it was a great evening...and an amazing setting, watching the sunset fade against the Tetons. And then, there was snow...enough for a snowbike ride, even. 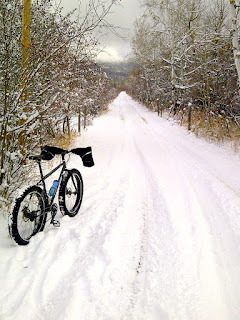 I believe it was the first time I've busted out a snow ride in October, and conditions were great. 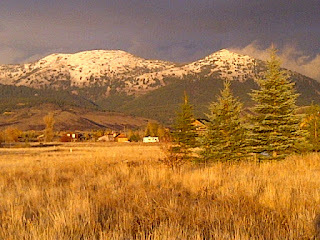 We'll be snowmobiling in those hills in no time. November will have its hands full, trying to top October. Happy Halloween!